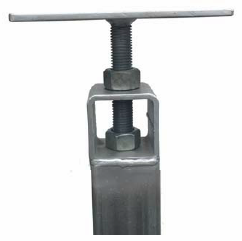 Adjustable post tops are generally designed for reactive or semi-stable soils where the post may sink over time. The structure can be simply re-levelled by winding up the adjustable top. Top plate may vary depending on beam connection.